The 2018 Honda HR-V is a dynamic and well-equipped crossover SUV that is turning heads on the road. But more than style and functionality, the HR-V is also impressive for its long list of safety features throughout all of its trim levels. So no matter which model is right for you, from the entry-level LX to the top-of-the-line EX-L Navi, the HR-V is the perfect family vehicle and a road companion that helps drivers drive better and safer behind the wheel. 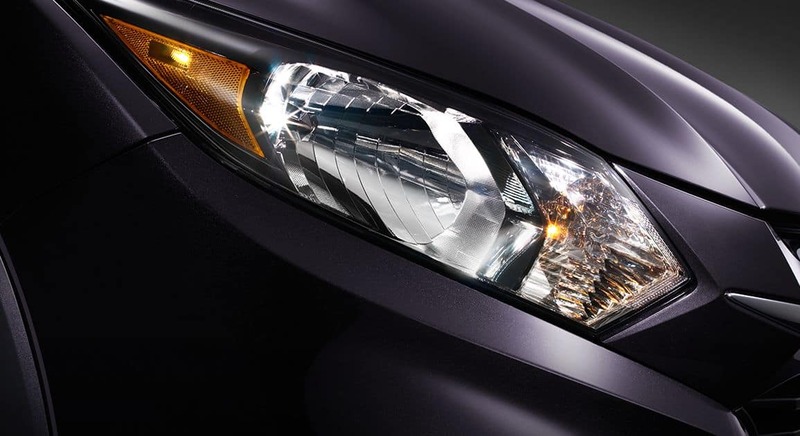 Daytime Running Lights – Illuminate the road ahead while also ensuring that the HR-V is clearly visible to other oncoming vehicles, no matter the time of day or weather conditions. Anti-Lock Braking System – This system ensures that the wheels don’t lock up or cause skidding when the driver applies the brakes. 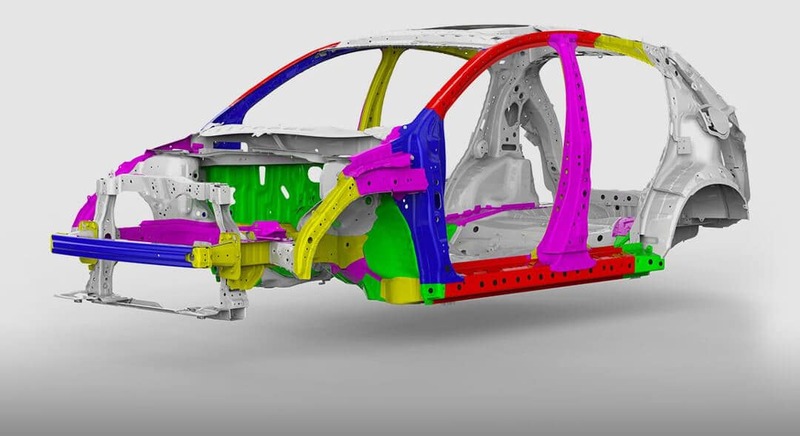 It helps bring the HR-V to a stop safely and keeps good tractive contact with the road. Electronic Brake Distribution – This technology automatically applies varied pressure to each of the four wheels separately depending on road conditions and driving situations for optimal performance. Brake Assist – This system assists in an emergency braking situation and can help bring the HR-V to a stop more quickly. Tire Pressure Monitoring System – This system monitors the pressure in each of the four tires and notifies drives when pressure deflates below the desired amount. Vehicle Stability Assist with Traction Control – This system kicks in when the HR-V turns or corners more than desirable and can correct and stabilize the traction with the road by using selective braking. 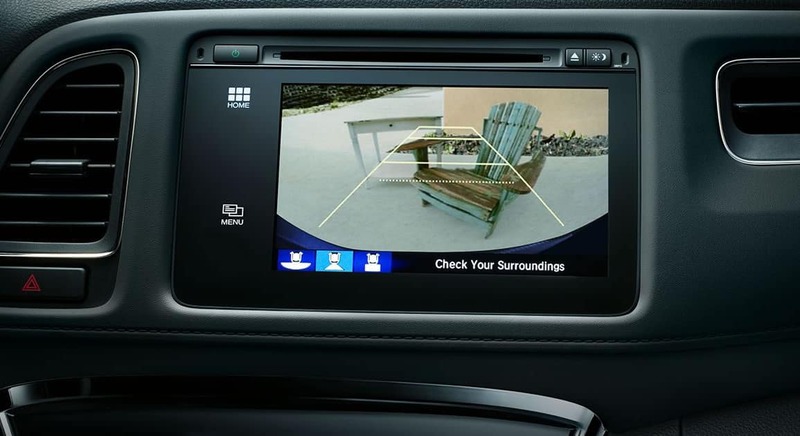 Multi-Angle Rearview Camera – With normal, wide, and top-down views, the rearview camera helps drivers back in and out of tight spaces much more easily and safely. Honda LaneWatch – A camera mounted on the front passenger-side mirror displays a live video feed of activity in the driver’s blind spot when a right lane change is signaled. With Honda LaneWatch, drivers can see up to four times more than using the mirror alone. 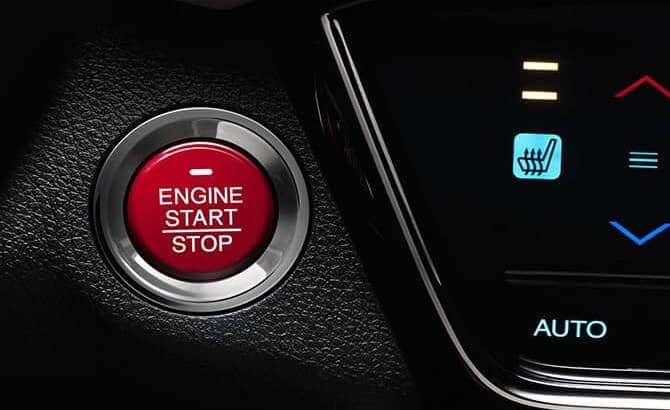 Push-Button Start – Start the dynamic engine of the HR-V with the simple touch of a button and get on your way in no time. Multi-Angle Rearview Camera with Dynamic Guidelines – The rearview camera on the LX gets an upgrade in the EX and EX-L Navi with dynamic guidelines that can direct drivers with more precision. Smart Entry – Smart Entry allows you to gain access to the HR-V without having to dig through pockets or purses for your keys. It makes getting in quick, easy, and hassle-free. Visit your nearest Mid-Michigan Honda Dealer to find out more information about the 2018 Honda HR-V safety features as well as other features—from comfort equipment to technology—across all three trim levels. Explore current offers and financing options, and contact us to schedule some time behind the wheel with a test drive today.